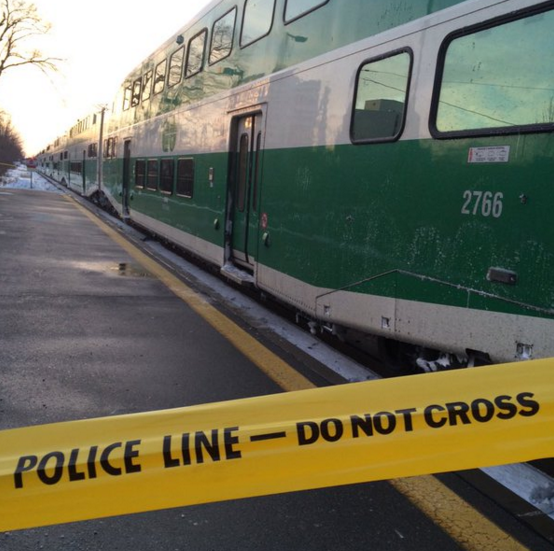 GO train service is set to resume along the Lakeshore West line after a police investigation halted service in south Mississauga Friday evening. Reports of a man on the tracks came in at 6:06 p.m.
Lakeshore West – Police have closed the tracks between Port Credit and Clarkson because of a trespasser on the tracks. Update to follow. The man was apprehended about 10 minutes later, said Peel Regional Police Const. Paolo Carretta. He’ll likely be taken to hospital.